Remember the days before T-Pain and Nelly? Back when Sean Combs was still Puff Daddy? Back when two kings of the game ruled supreme? When rap still sounded like rap? If you haven't figured it out yet, this article is dedicated to '90s rap music. 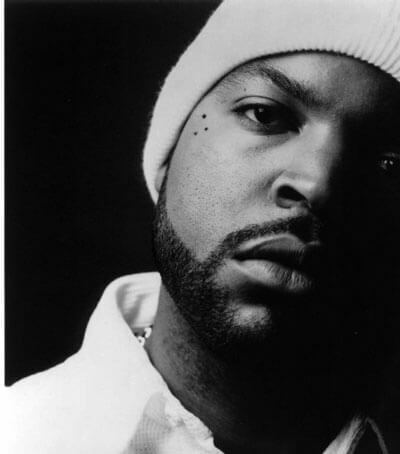 Rap in the '90s brought widespread popularity to the genre. In the late 80s, Public Enemy, Run-D.M.C. and N.W.A. built a foundation for the gangster rap genre. They paved the way for what would be arguably the best decade the genre has ever seen. With the exit of Ice Cube in 1989, N.W.A. continued to feud and eventually disbanded in 1991. The stage was set for an epic battle of rap supremacy in the early 90s. An East-West Coast divide had formed with Bad Boy Records on the East Coast, and Death Row Records on the West Coast. 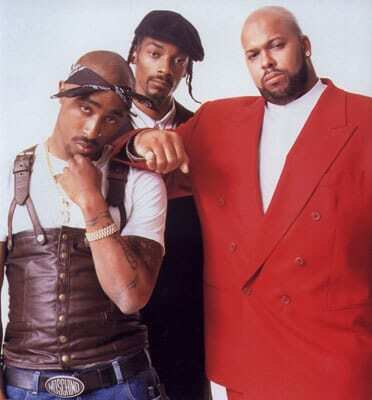 Tupac threw gasoline on the fire when he accused Biggie and Combs of being involved with the shooting he fell victim to in a NYC recording studio in 1994. With each record after that, the drama escalated and I think we all know how this story ends. I was in shock of everything. I wasn't shocked about him getting shot. 'Pac is a strong dude, yo. He's real strong, so when he got shot I was just like, 'Again?' You know, he's always getting shot or shot at, he gonna pull through, make a few records and it's going to be over. But when he died it took me by surprise. Even though we were going through our drama I would never wish death on nobody. 'Cause there ain't no coming back from that. Unfortunately for everyone, the feud turned to violence and two of the greatest rappers ever were both assassinated, within six months of each other. The rivalry that sparked some of the best rap music ever was officially over and the game was forever changed. That is your history lesson for today. '90s rap is not something that I am a expert on but I know my fair share. That is why I have complied my top five songs from each year of the 90s. The rules are the same as the two previous lists and in case you forgot them, I have explained them below. For each genre of music I will rank the top 5 singles from each year in the 90s. I will provide a link for each song (either imeem or youtube, depending on availability) for your listening pleasure. Disclaimer: These rankings are based on my personal preferences, not on actual popularity. I think of these lists as recommendations. Hopefully these songs will bring back some good memories, and if you have never heard them before, maybe create some new ones. Interested in '90s Pop and Rock as well? Be sure to check out these lists as well. 3. "Hypnotize" by The Notorious B.I.G. 4. "Juicy" by The Notorious B.I.G. 4. "Down With The King" by Run-D.M.C. 1. "100 Miles and Runnin'" by N.W.A. Similar to my 90s pop and 90s rock lists, this is only a small sampling of the genre. I just tried to represent all of the most influential acts of the decade and remind you of some the classic jams of the '90s. While this blog tends to focus on alternative rock, it is nice to take a step back and reflect on another great genre. Hope you enjoyed this collection of music. Agree or disagree with my selections? Feel free to share your opinion by making a comment below. First of it's kind on Rizzo Music, this week I am here to introduce our '90s rap music playlist. Although I grew up mostly on '90s alternative rock, I do have some rap favorites that I would like to share with you. These hits are about as good as rap singles go. My favorite from this group of songs would have to be "It Was A Good Day" by Ice Cube. I can't find a better rap song to stroll through town with the windows down. It will have you head bobbing up and down from beginning to end. Enjoy this one and be sure to let me know if I missed any classics. 2. DMX - What's My Name? Looking for more playlists? We've got plenty.